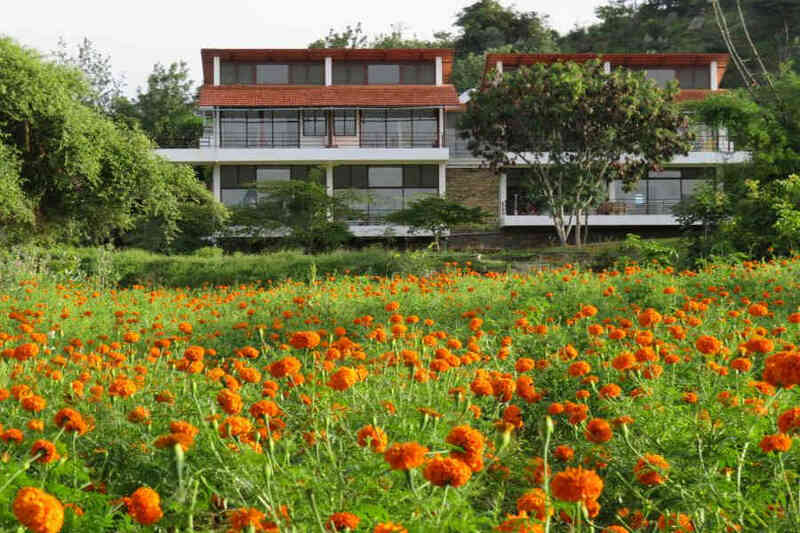 Use the form below to inquire about Eco-Friendly Lodge In Bandipur . 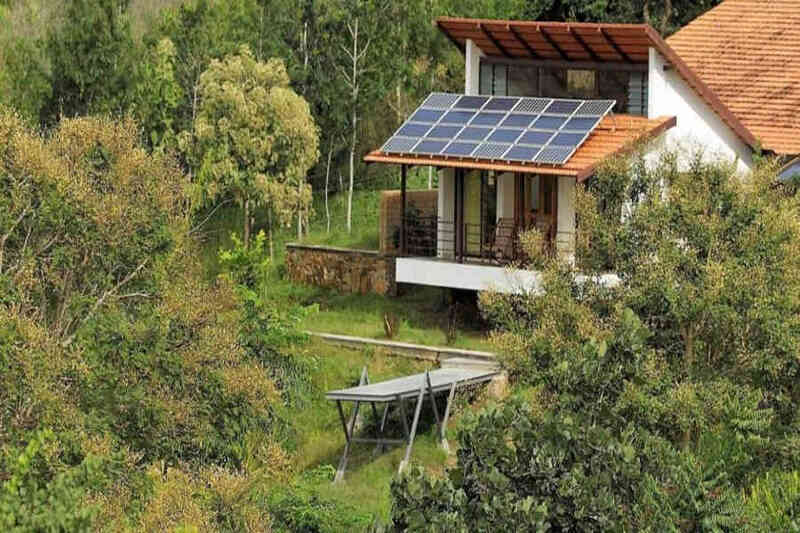 Use the form below to reserve for Eco-Friendly Lodge In Bandipur . These rooms on the first floor and have high ceilings and share a common balcony. The large glass sliding doors offer an unhindered view of the landscape and the Nilgiri Mountains. The rooms have ensuite bathrooms with one room having a king size bed and the other twin beds. The mansions have a separate living room with a queen-size or twin beds and a bedroom with a king size bed. Open to the sky showers, skylights and glass windows that open into the attached balcony all add to the charm of these mansions. 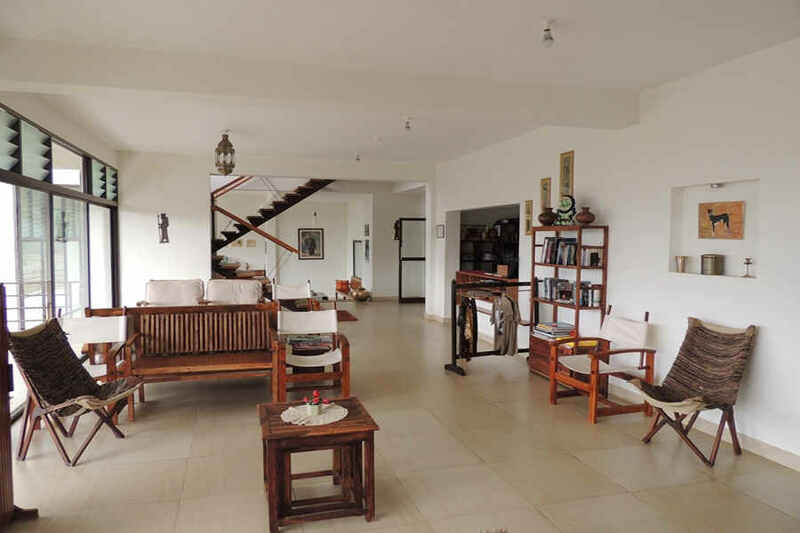 This villa overlooks the rainwater pond and has a large balcony a large private sundeck and a set of terraces. 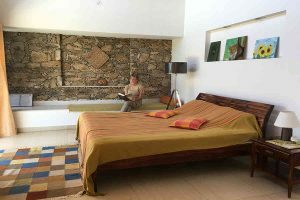 The bedroom has a double bed and the bath is connected to an outdoor area providing that feeling of adventure. Set amidst an ambiance of absolute serenity, this Eco-Friendly Lodge In Bandipur is a destination for wildlife lovers. 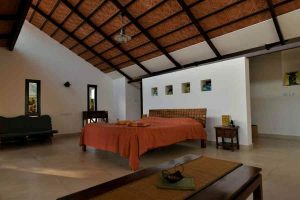 This Eco-Friendly Lodge In Bandipur is located on the fringes of the Bandipur Tiger Reserve, an animal sanctuary located at the foothills of the Nilgiri Mountains. The region has a hilly terrain and is punctuated with various flora and fauna, which attracts tourists from all parts of the country an abroad. With the forest as its backdrop, the property combines the best of both worlds—the feeling of being in the wild and the ambiance of a resort. 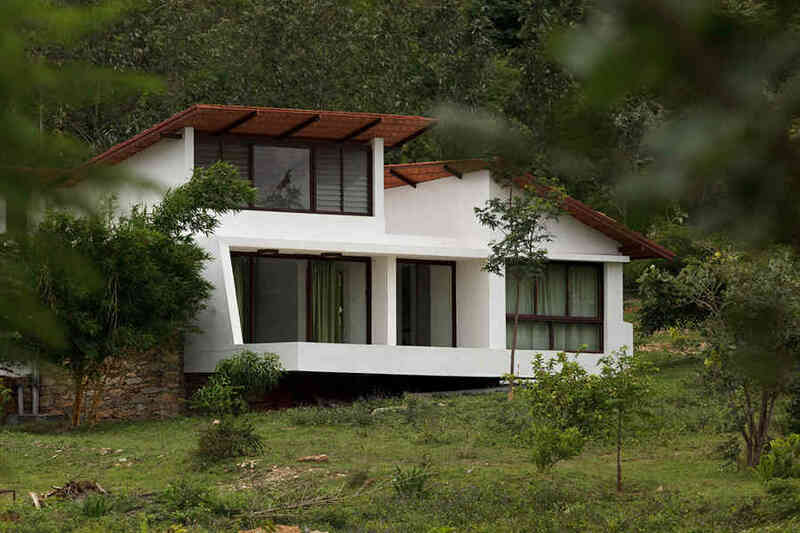 The architecture of this Eco-friendly Lodge In Bandipur is a blend of contemporary style with that of a rugged forest dwelling. Big clear glass windows and the tiled roofs of the buildings lend a unique touch to the lodge. The white and red buildings create a pleasant contrast to the green woody backdrop while the rainwater pond is another highlight. Interiors feature liberal use of wood, while the walls have been decked with numerous paintings by the owner. You can enjoy a fresh daily menu, which features elements from a variety of cuisines. 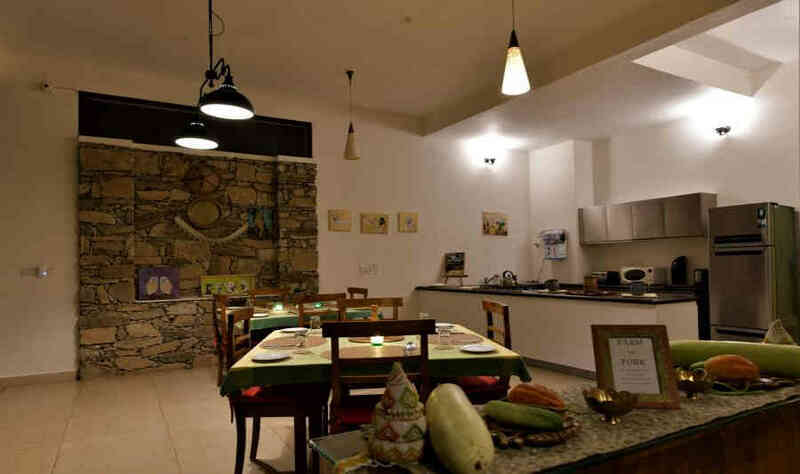 The Eco-Friendly Lodge In Bandipur also gives you the option of trying your hand at farming, plucking fresh fruits and vegetables, and cheese-making. Various activities such as property walks, nature walks, native games, campfire, tribal village interaction, and yoga sessions can all be arranged. 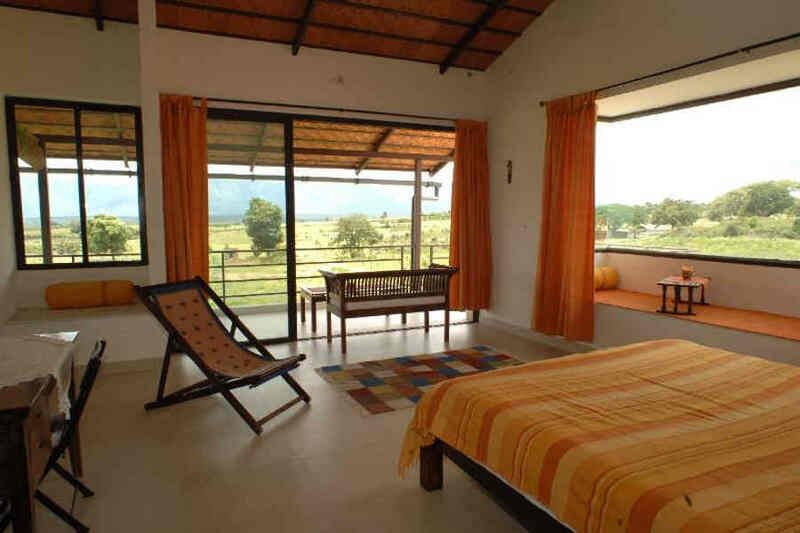 There are three categories of rooms at the Eco-Friendly Lodge In Bandipur. Habitat rooms with high ceilings and glass louvers have a common balcony. The stand-alone bungalows called Garden Mansions have bedrooms with a large skylight and a sliding glass wall, which opens out to the attached balcony. 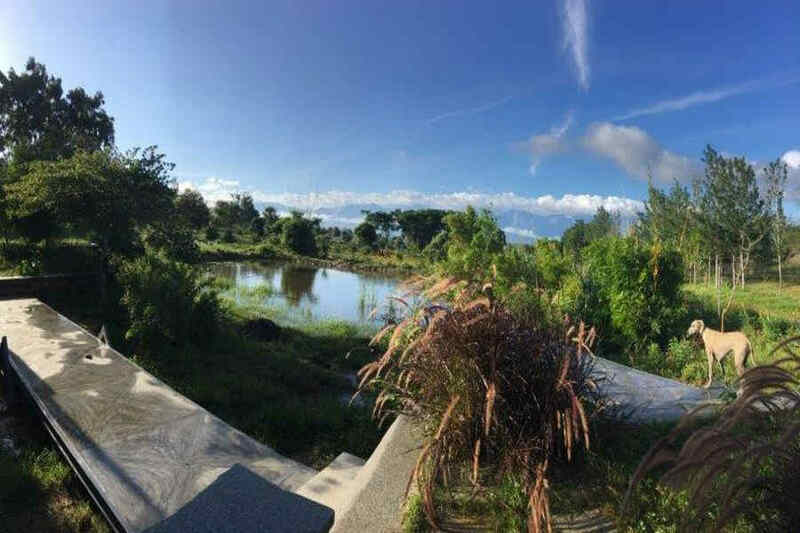 Overlooking the rainwater pond is the Mountain Paradise with its long deck offering great views of the landscape. An experience at the lodge is unforgettable, and one that will relax your body and delight your senses. For reasons of safety, it is advisable that children only above the age of 6 be accommodated and will be charged as per child rates. The property closes at 10 p.m. The meal, check-in/out and safari timings have to be strictly adhered to. All bookings in that period are non refundable. Booking will be confirmed and guaranteed only on receipt of full payment. In case of booking made well ahead, 50% advance to be made at the time of booking, and the balance 50% should be paid 30 days prior to the date of check-in. For bookings between 21st December and 10th January full payment is required 45 days before check-in. Names of all guests must be given in full along with the booking. Any change upon arrival in the number of guests or the name shall not be entertained. The guest needs to reconfirm the provisional booking by making the advance payment or the full payment as mentioned above and as applicable for the booking before the end of the time limit. The lodge offers ample of opportunities to rediscover your inner self and spend quality time with your loved ones. During the day you can choose to do farming or understand the intricate art of cheese-making. Those in pursuit of self can choose to meditate at one of the many serene spots on the property. Alternately, you can try your hands at painting or tune-in to the songs of the birds. Chat away the night with your loved ones around the warmth of a roaring campfire. The area is blessed with nature’s bounty with Bandipur National Park occupying the top slot. Spend the day coming up close wildlife in a safari adventure and see Asiatic Elephants, tigers, Gaurs, antelopes, leopards, wild dogs, hyenas, Sambhar, Chital, sloth bears, wild boars, pythons, and several species of monkeys and birds. You can also visit Biligirirangan Hills to see the geologic formation or choose to check out the Malai Mahadeshwara Temple. Mysore Airport is the nearest airport at 75 km, while Kozhikode International airport is 129 km away. Kempegowda International Airport, Bengaluru, is 271 km from the lodge. The Nanjungud railway station is at 62 km while Mysore Junction is 87 km away. Kozhikode railway station is 142 km away while Bangalore railway station is 235 km from the lodge. Mysore is 84 km via NH 766 and Kozhikode is 144 km via Kozhikode-Nilambur-Gudalur road. Coimbatore is at a distance of 150 km along Mysore-Ooty road and you can drive down from Bangalore via NH275, which is 236 km away.